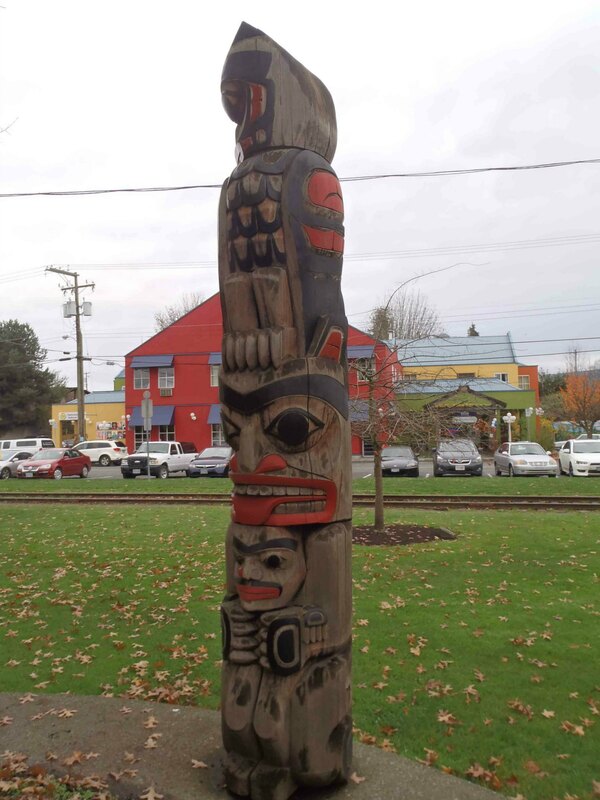 The Owl Pole was carved in 1987 by Francis Horne, Sr. 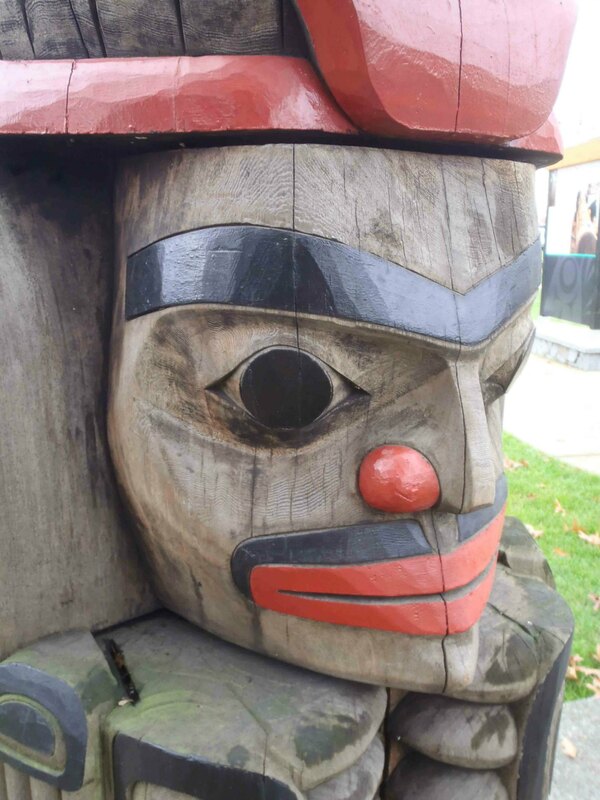 It stands 3.7m (12′) in height and is displayed in Charles Hoey Park on Canada Avenue near the Station Street intersection and the E&N Railway Station. 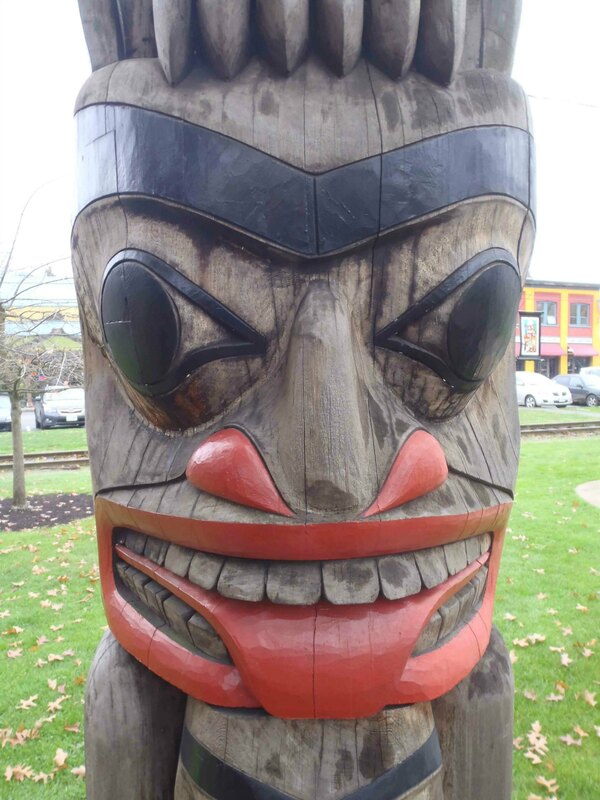 It stands in a group of four totem poles. 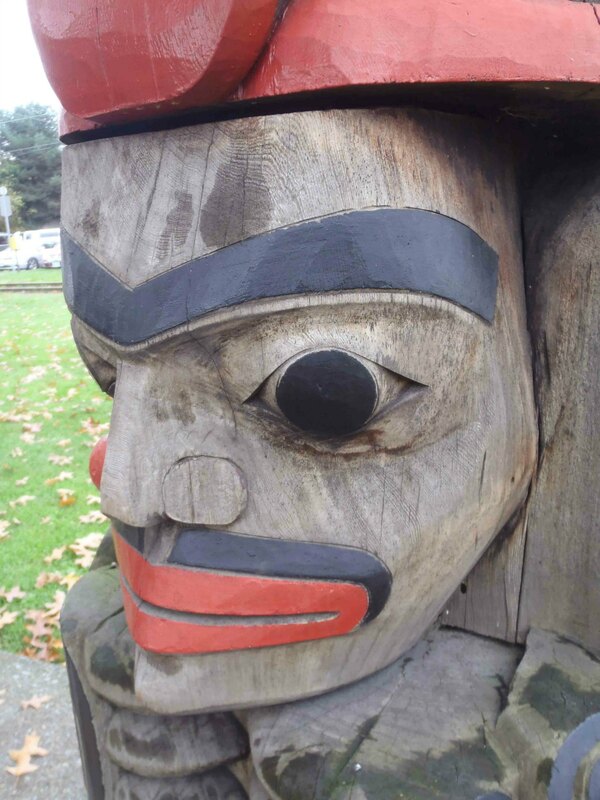 Owl Pole, Bear figure, Charles Hoey Park, Canada Avenue, Duncan, B.C. The Bear is a symbol of strength. 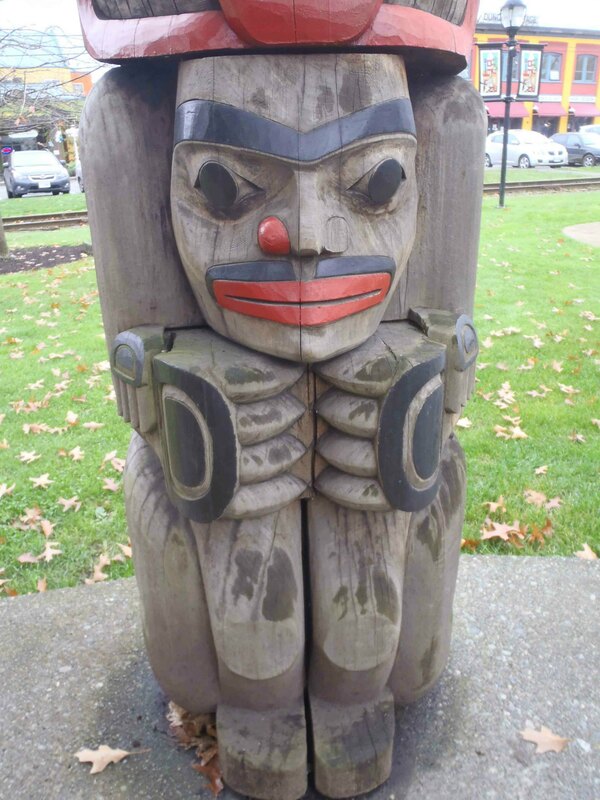 Owl Pole, Human Child figure, Charles Hoey Park, Canada Avenue, Duncan, B.C. 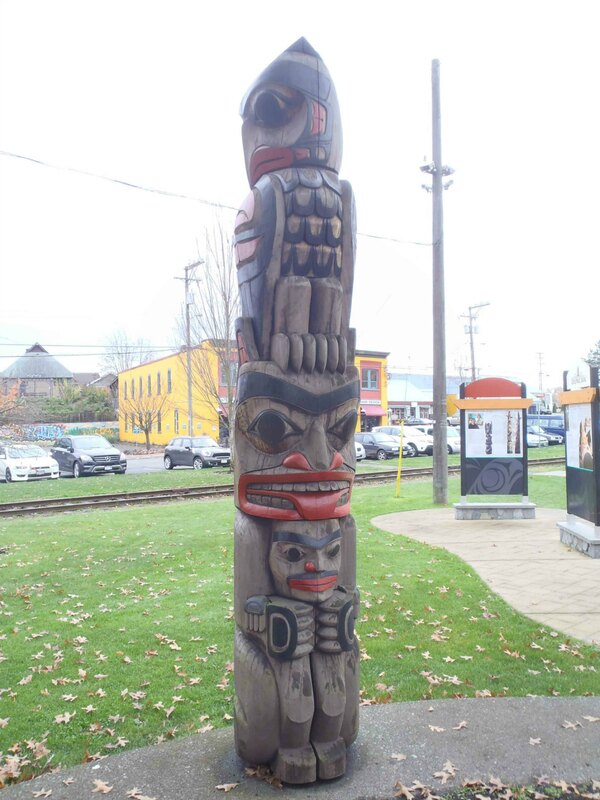 In this pole, the Bear is holding her Child.